If you have any questions or want to enquire about dates, use our form to contact Catherine Marsh. You’ll feel calm here, high up on one side of the Wye Valley, with the river winding its way through an ancient tree line below you. However bad-tempered the weather, it’s uplifting to sit by the large windows in the open-plan sitting room, wood-burner warming you, views straight across the valley. A bunk room on the ground floor has a bookcase stuffed with books; up open wooden stairs is a neat, beamed double, warmed by the wood-burner flue, and overlooking the grand view – you’re facing east so sunrises will be lovely. Outside the front door you’ll find a little private patio with table and chairs for sunny meals and big views. Seren, next door, is a sweet retreat for two which you can also take if you need more space. Hugh and Catherine live over the road and leave you logs, bottles of local beer, homemade biscuits and honey bee soap made in Usk. Hugh’s a keen mountain cyclist and will happily chat about routes, walks are straight from the door, you can canoe and fish, or take yourselves off to the local Michelin-starred pub. Special offer: Book both our places in the beautiful Wye Valley this summer and get a 15% reduction off the normal price for Seren! Short breaks available. Minimum stay 4 nights weekdays, 3 nights weekend. We were lucky enough to have an amazing Xmas stay at the Donkey Shed, Hugh and Catherine provided a warm welcome. Wonderful views from the shed and walks from the doorstep - we heartily recommend a visit! We are reticent to give the Donkey Shed the 5 star review it so easily deserves for fear it will become so popular that we shall never get a chance to return! 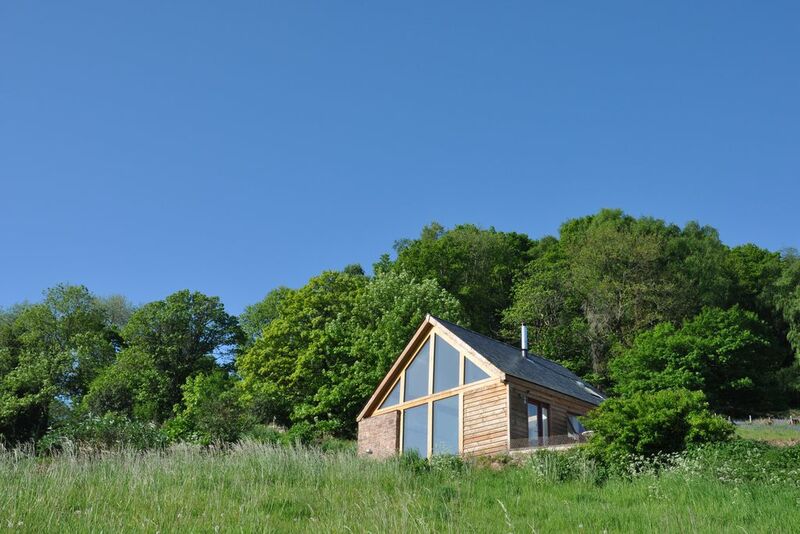 Catherine and Hugh have created beautiful, light, bright holiday accommodation that allows visitors to share their amazing and uplifting view of the Wye Valley in peaceful surroundings - perfect for a weekend just relaxing, or longer if you plan to explore the area. We would return tomorrow if only we didn't live so far away! We loved our stay at the Donkey Shed. It’s remote with a beautiful view of the hills with deer and buzzards making an appearance. The accommodation itself has been done to a really high standard and is a pleasure to be in while the hosts went out of their way to be welcoming and helpful. It’s highly recommended. One of the best sheds I've ever stayed in! Fabulous location, beautifully presented and with glorious views. I stayed here for a week with my daughter and there was so much to do right on the doorstep and then the "shed" was a joy to return to and relax with a glass of wine gazing out the huge window as the light danced across the landscape. A wonderful holiday made so very special by our welcoming hosts (but not in an intrusive way) and the spectacular accommodation. The views from the Donkey Shed were wonderful; to have such a picturesque scene to wake up to was an absolute joy. We felt in tune with nature but, at the same time, we felt pampered with modern amenities such as the dishwasher, rainfall shower and laundry facilities. Amazing place to stay with the family, brilliant views, tucked away. Very welcoming family. Had the perfect weather which helped, can't ask more than that. Hopefully we can return one day. We had a wonderfully relaxing stay at the Donkey Shed. The accommodation was everything we'd hoped it would be - quiet, comfortable and toasty warm (despite the snow outside). The kitchen was well-equipped and there were plenty of little touches throughout that showed how much thought Catherine and Hugh put into ensuring guests have an enjoyable stay. The Donkey Shed made for a cosy winter retreat, with nearby woodland walks and pubs and restaurants only a short drive away, and we definitely hope to return to explore the local area more. We have just returned from a wonderful weekend at the fabulous Donkey Shed. It was immaculately clean and perfect in every way. Even though it was freezing cold, the very efficient wood burner kept us cosy and warm and we never tired of the magnificent view across the Wye Valley. We plan to return! This is a fantastic place! We spent a wonderful peaceful 4 days here to celebrate my birthday. The building is warm and beautifully finished with everything you need. Catherine and Hugh are very welcoming and make you feel instantly at home. The area is perfect for biking and in easy travelling distance of both bike park Wales and the Forest of Dean. The bird feeder outside the window was a treat to watch. Lovely long weekend at The Donkey Shed - spotless accommodation with stunning views across fields, River Wye and woodlands. High quality furnishings, TV and log burner. Well equipped kitchen area. So quiet and peaceful. Perfect base for exploring the area. Met on arrival by Catherine who was very friendly and welcoming. Nice touches were fresh biscuits, a couple of bottles of local beer, fresh flowers, lavender & honey soap and bath bubbles, again sourced locally. A soak in the huge bath was perfect after a day walking through the woods and exploring the area. Highly recommended. We had a wonderfully restorative stay in the gorgeous Donkey Shed. Catherine & Hugh's place is super stylish & in a wonderful spot - loads to do nearby. They've thought of everything you need & have all the kit for young kids. We'd love to stay again. I can highly recommend the Donkey Shed. The surrounding area is stunning, with many short walks within easy distance. There are a number of fantastic pubs nearby, some within walking distance. The place itself is really beautifully put together, everything is great quality, the bed, the kitchen and bathroom and is just a really lovely place to hand around in when it is raining, or in our case foggy. Catherine was really helpful and accommodating. We didn't want to leave! Everything about the shed exceeded expectations - it is even nicer than the pictures. We had all we could need: a comfy bed and seats, a lovely bathroom with a great shower and big bath, a well-equipped kitchen and beautiful views. We could have happily spent the week in the shed and never left! The location is lovely, secluded, cosy and perfect for local walks. We would definitely stay there again and we're quite sad that we had to come home. Catherine was also a great host and very flexible about everything. Highly recommended. Delightful place with magnificent views. Perfect long weekend for a family of four during February half-term. Spotlessly clean, beautiful design, walking from the doorstep and big bath and comfy beds to return to with the added comfort of a wood-burning stove. Welcoming hosts. Excellent food nearby (Inn at Penallt). Strongly recommended. 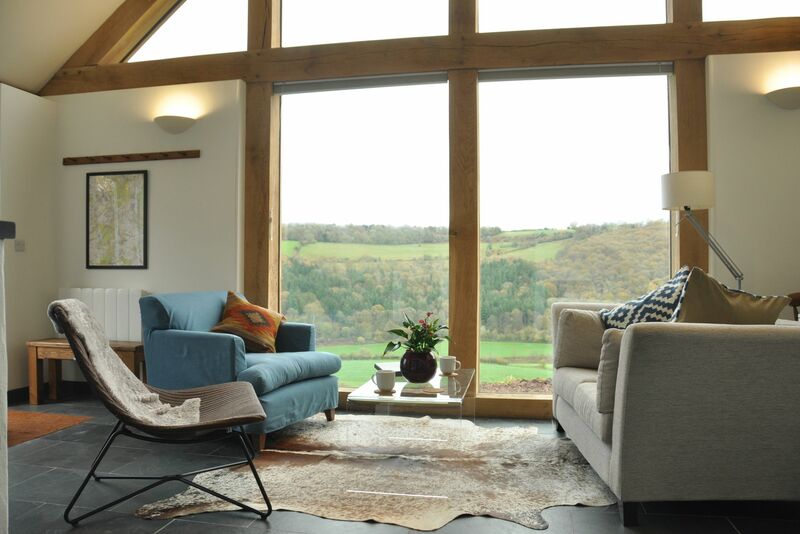 This place is magic - beautifully designed and spotless inside, with misty views down to the River Wye outside. I came here to work on a project, but it would be just as perfect for hiking or sightseeing, with the chance to end long days out beside the log burner or in the enormous bathtub! The lovely owners have made a really special place here. You're down a narrow lane (which forms a section of the Wye Valley Walk) through beech woods carpeted with wild daffodils and bluebells in the spring. Seren and Donkey Shed overlook the river and there's wildlife spotting from the sofas (deer, swallows in the summer, buzzards, foxes, badgers). There are great walks from the door - head down the hill and follow the river to The Boat Inn. 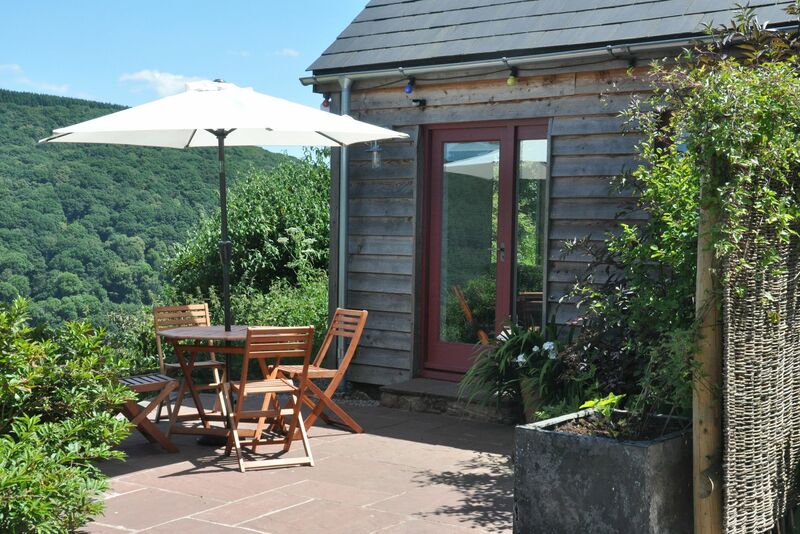 Catherine and her husband live on a smallholding with beautiful views over the Wye Valley. They've loved welcoming guests to stay at the Donkey Shed in this special spot. Recently they decided to convert another outbuilding to form Seren so that they can share it with more people! They would love to welcome you here for some fresh air and relaxation. They live across the lane so there is an equal share of privacy and availability. They love the outdoors and are more than happy to offer recommendations of our favourite local spots.